What’s your primary tool of communication nowadays? For me, and I guess for many of you, that would be WhatsApp, Facebook Messenger or one of the many other chat apps available on the your mobile phone. I think the mobile phone is the natural end-game for where such apps reside. After all, it was designed primarily to be a telecommunications device. 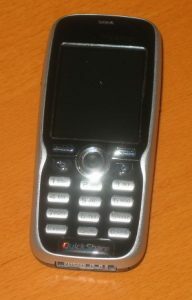 It used to be that our phones were a last resort–like if we were on the outside and had no other means of communication–after all, richer forms of communication just weren’t that feasible with a 160 character limit, a nine digit keypad and five cents per SMS (if you exceeded the paltry 500 SMS limit). The computer, meanwhile, allowed us to set up group chats, send photos and videos, emoticons and dole out message after message with abandon. Now my phone can do the same thing, and more. Group projects no longer require everyone to be online on MSN Messenger at a stipulated time–just leave a message on WhatsApp and the rest will receive in due time. When I was a clerk for the second half of my National Service five years ago, I used to have to send mass SMSes every now and then just to disseminate a message, and to reply everyone individually where required. It was cumbersome and expensive. Now, before and during my yearly In-Camp Trainings, we’ll simply drop a WhatsApp message. No fuss. However, it is with this convenience that we lost anonymity. Your WhatsApp and your Facebook account is tied to your phone number and your real identity. When I was barely nine, a friend introduced me to Internet Relay Chat (IRC) in the form of the massively popular mIRC software. I remember finding my way to #chatzone and #wild_chat on the AustNet server, and of course, #kidscentral. In those days, hashes were used to represent channels, not the ubiquitous hashtags you see today. I made friends with a couple of Aussies, as well as a few local friends who became my good friends for a period of time. I guess the reason why it was easy making friends was because no one could judge you. You could be anybody you wanted. All you possessed was a nickname, which you could change on a whim simply by typing /nick [newname]. There were no profile nor cover photos. No one knew your real name, nor did they even care that you even had one. IRC is still around today, but only in niche circles. Nothing has really stepped up to replace it in a big way. With more modern forms of communication, you need to know the person before you get a chance to talk to them unless you’re on a dating website. It’s good that modern platforms force you to form healthier relationships rather than hiding behind a screen all day long, but for someone who didn’t like to socialise very much in real life, IRC was the best thing to have ever happened. Around the same time, we had instant messaging apps come to the fore. Instant messaging managed to outlast IRC in terms of popularity, and, come to think of it, our modern platforms are nothing more than instant messaging on steroids. In the late 1990s and early 2000s, Mirabilis’ ICQ was probably the most popular of the lot. I remember hearing the iconic ‘uh-oh!’ sound on my sister’s computer every now and then. People didn’t have names, instead, they had numbers. There was probably even a black market for lucky numbers. For me, I was content with the number I got–138602900. It was catchy enough that I still remember it till this day. Much of my secondary school days, meanwhile, were spent on MSN Messenger, later known as Windows Live Messenger. There was this really useful add-on, called Messenger Plus, that basically everyone used. It provided chat logs way before Microsoft incorporated this feature natively. In fact, I still have chat logs from 2003 still residing on my hard drive! It was only towards the later part of the decade where I noticed the number of friends coming online regularly getting fewer and fewer. Microsoft’s acquisition of Skype and the subsequent merging of MSN into Skype probably dealt the final blow. Today, while Skype still runs in the background whenever my computer starts, it’s more out of habit or formality. I only talk to one or two people on Skype regularly.